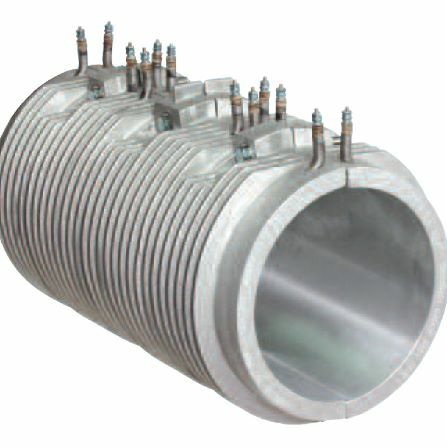 Used as an alternative to Liquid Cooled Cast-In Band Heaters for heating and cooling the barrels of plastic extruders. Multi-Versal extruder heat/cool systems are designed for efficient heating and cooling. Polar Cast heaters feature finned cast-in heaters that allow for quick thermal response during heat-up and cool-down cycles. Arctic Cast shroud systems provide vast improvements over standard water cooled castings for durability and performance. Cool to the Touch extruder heat/cool systems are engineered to provide optimal heating and cooling while providing personnel safety with a Cool Touch perforated outer layer.